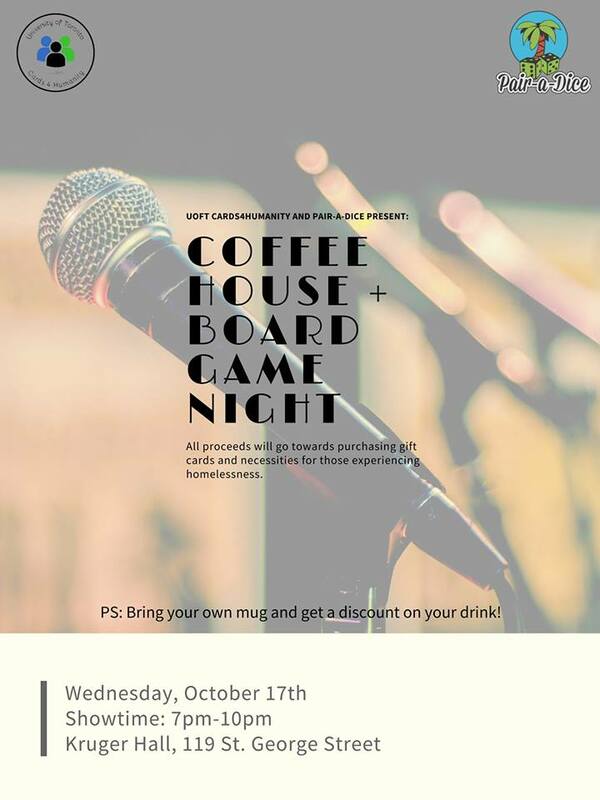 Cards4Humanity Fall Coffee House Performance | Tunes. Beats. Awesome. Address : 119 St. George St.
TBA is starting their year off right with a charity performance for Cards4Humanity! 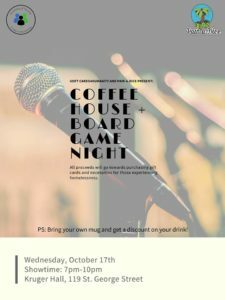 The coffee house will feature 17 other performances by students around U of T, during which board games provided by Pair-A-Dice will also be available to play. The event will go from 7PM-10PM. Admission is $5.